Telstra and Optus are both 4G LTE network providers in Australia, and they provide similar LTE frequency bands. To meet the demand for LTE wireless connection, they both have the 4G LTE mobile WiFi hotspots for their contract plan. Telstra had introduced Huawei E5787 Mobile WiFi touch to its product range while the Optus had latest Netgear Aircard 800s. 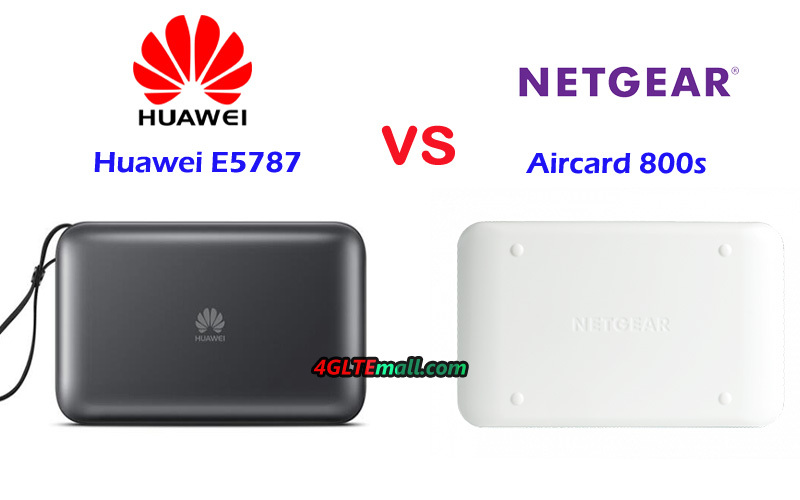 Then somebody may ask: What’s the difference between Huawei E5787 and Netgear Aircard 800s? Which one is better if buying from the two routers? The specific model for Telstra is Huawei E5787ph-67a, unlike the brother model Huawei E5786, the E5787ph-67a has a 2.4-inch touchscreen and no button on the front side. The power button is on the top edge side while on the opposite side, the USB 2.0 port and two connectors for external antennas are available. The back cover of Huawei E5787 could be removed for changing the battery or inserting the SIM card. 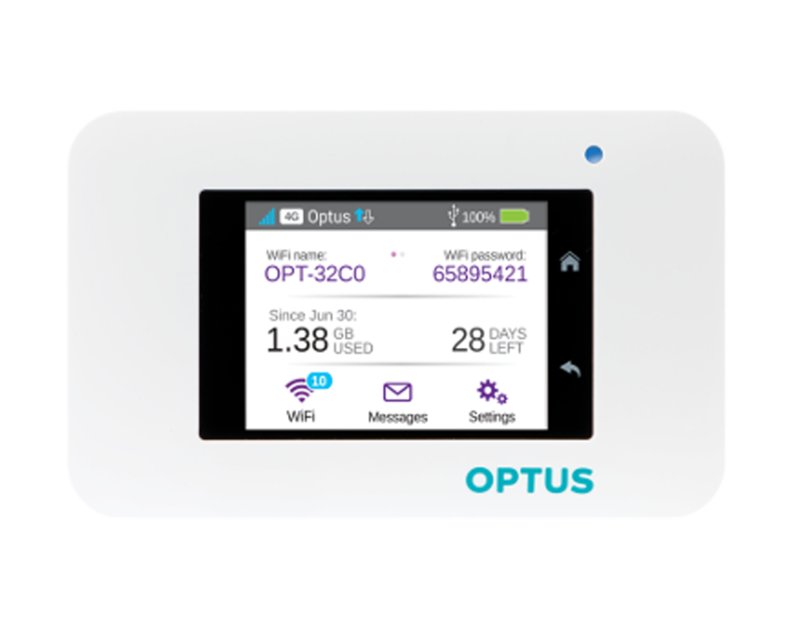 Like the Telstra 4G WiFi Pro Unlocked, the Optus 4G WiFi modem 800s also has a 2.4-inch touchscreen and there are two buttons at the screen side, one for home and the other for “back”. The button is also on the top edge side and the two connectors for external antennas are available at the opposite side with the USB 3.0 port. The difference is the antenna connectors are on two sides of the USB port. 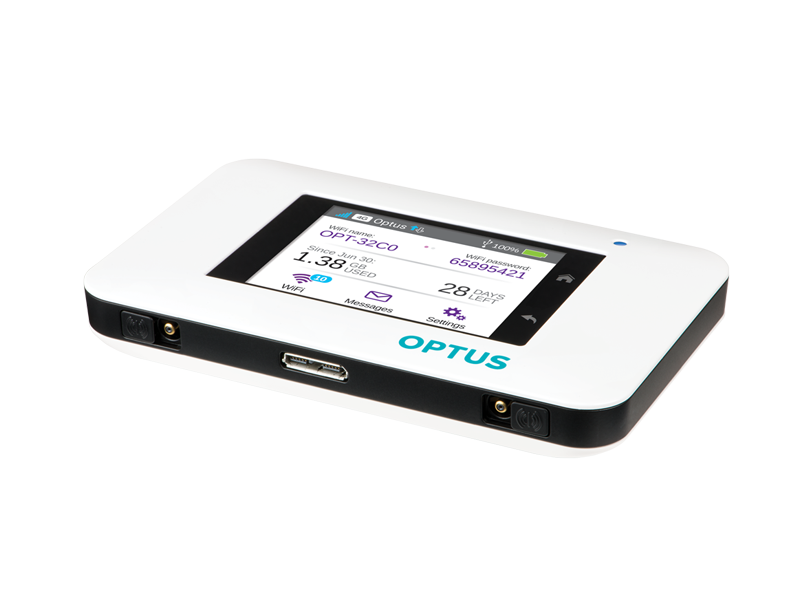 The back cover of Optus 800s could also be removed for exchange or inserting the SIM card. They are both configured with two TS-9 connectors. From the specs table, we can see the Optus 4G WiFi modem 800s is more advanced than Telstra 4G WiFi Pro E5787 because the Optus modem AC800S could support LTE download speed up to 450Mbps while the Huawei E5787 could only reach LTE download speed to 300mbps. With Qualcomm chipset, Optus 4G modem 800s could support LTE category 9 while Telstra E5787 supports LTE Cat.6 on Huawei Hisilicon LTE Cat.6 chipset. Telstra 4G WiFI Pro could support maximum 10 users to access the internet while Optus 800s would support up to 15 users. The most interesting is that the Optus 4G WiFi modem unlocked price is 199.00USD while the unlocked Telstra 4G WiFi Pro at price of 299.00USD. So if you would buy an unlocked 4G mobile hotspot from the two, it’s obvious that the unlocked Optus 4G WiFi modem 800s is better than unlocked Telstra 4G WiFi Pro E5787. As Netgear’s first LTE category 9 mobile hotspot, Aircard 800s has improved configuration for LTE Advanced networks. Netgear Aircard 800s was already available for Australian network provider Optus and named it as Optus 4G WiFi Modem AC800S. 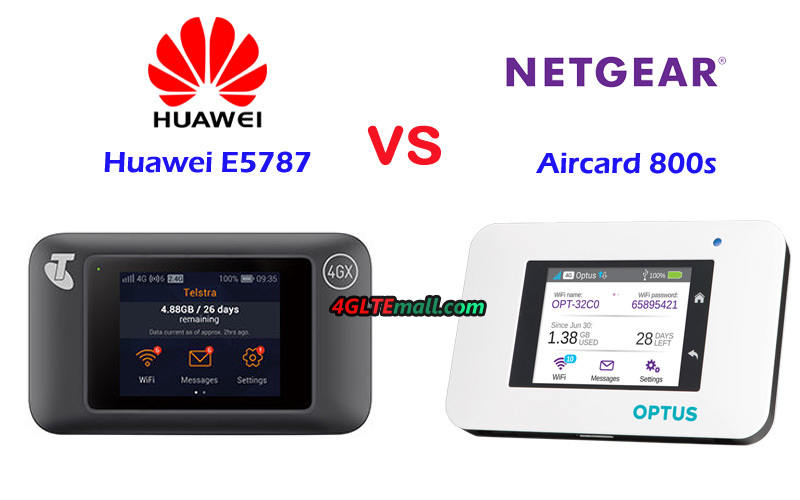 With the support of LTE Cat.9 and 3 band carrier aggregation technology, Netgear AC800S could achieve download speed to 450mbps and upload speed to 50mbps, which is triple faster than that of LTE Cat.4 mobile hotspots. The AC800S Netgear could provide LTE Advanced connectivity, swift application response times, reliable connectivity and a better overall user experience for buffering data-heavy programs such as multimedia and video files. Netgear AC800S modem is not only fast for wireless internet connection but also extremely user-friendly. Like its predecessor Netgear Aircard 810s, Aircard 800s modem has a simplified touch screen, where users can see the important information about the internet, such as the signal strength, network provider name, battery status, data consumed, WiFi SSID and password, WiFi connected user quantity, SMS, and settings etc.. The most important is that user can do simple settings through the touch screen like operating a smartphone. 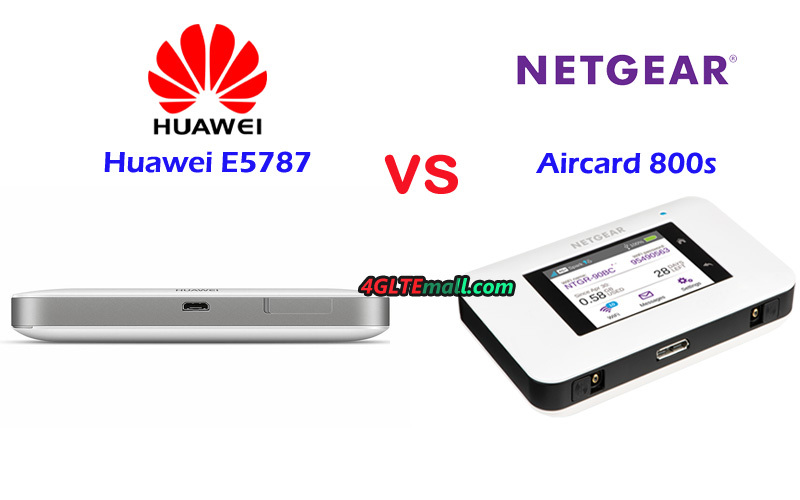 The Netgear Aircard 800s is well positioned to offer you a superior mobile broadband experience like never before. The Netgear 800S is designed to support LTE advanced network with LTE Category 9 and CA technology, which could support peak download speed to 450mbps. As a WiFi hotspot, Aircard 800 could support maximum 11 WiFi-enabled devices simultaneously. However, for many users, the carrier deployed networks have not reached LTE advanced. So Netgear Aircard 800s is a future-proof mobile router. Netgear AC800S would increase network performance and reduce interference with 802.11ac and Dual-Band 2.4 GHz/5 GHz WiFi. What’s more, it could support multiple SSID and guest WiFi function, which is usually available for high-level LTE mobile hotspots. In addition, the WPN (WiFi Protected Setup) feature is available. The Aircard 800 modem has a removable battery of 2930mAh, which could keep working for 11 hours and standby time could last for 260 hours. The battery can make Netgear 800s work like a power bank to charge other electric devices, which Netgear call it “Jump Boost” function. With the device, the Jump Boost cable is provided. Like other Netgear 4G mobile routers, Aircard 800s also has two connectors(TS-9 type) for a 4G external antenna. 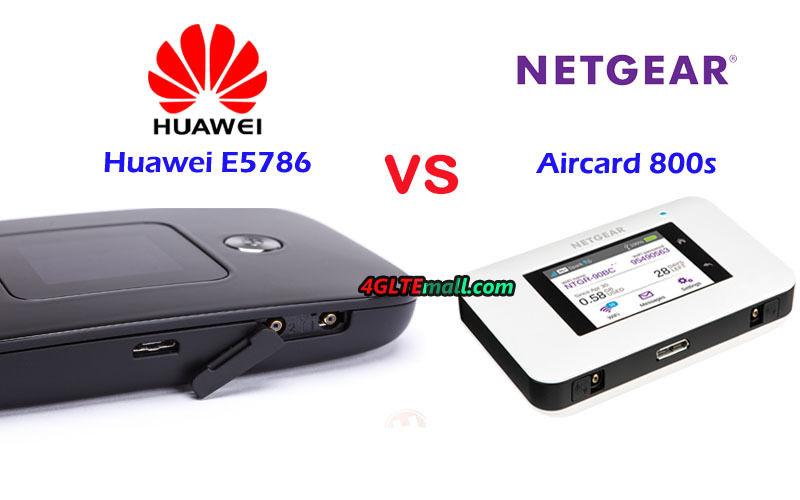 Netgear Aircard 800s is a high-level mobile 4g router with the support of LTE advanced network to get fast speed connection on WLAN 802.11ac dual bands. The large battery could keep itself working for a long time and charge other terminals. The dual connectors for the external antenna are also very useful features for the people located at weak signal areas. 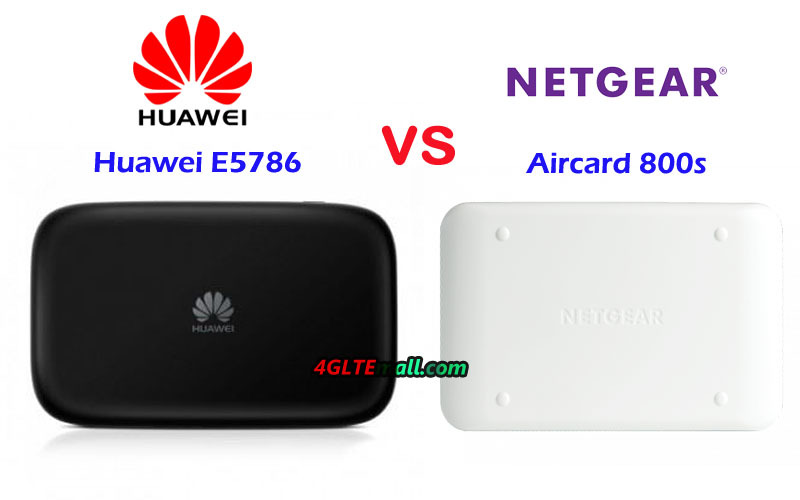 The Netgear AC800s price is not expensive comparing with same level LTE-A mobile hotspots. If you want to buy an LTE-A mobile hotspot with good price, the Netgear AC800S is a good one to consider. You may know the Netgear Aircard 810s, which had been available since the beginning of 2017. And now the more advanced Netgear Nighthawk M1 MR1100 is also available in the market. They are hot 4G mobile routers for LTE network, especially LTE advanced network. 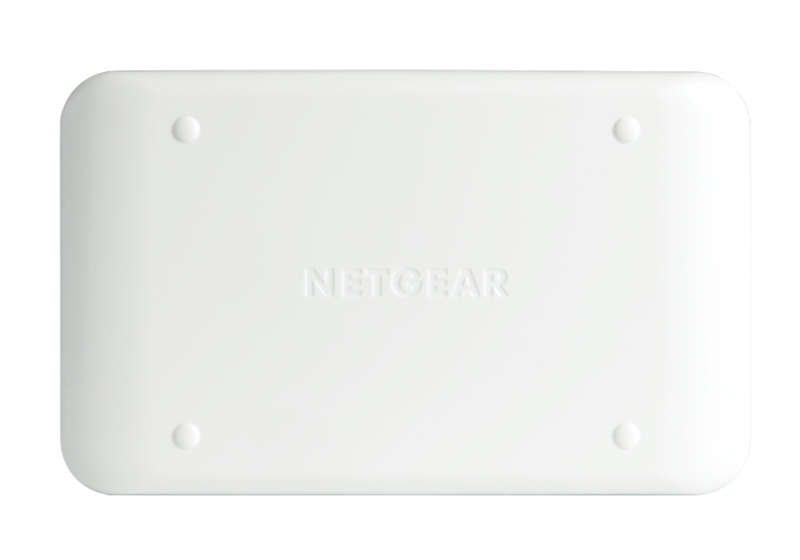 Today, we would like to recommend a new 4G pocket WiFi – Netgear Aircard 800s. The Netgear Aircard 800s is firstly introduced to Australian network provider Optus and named it Optus 4G Wi-Fi Modem (Cat 9) AC800S. From the name, we get to know it’s a product that’s in the lower level than Netgear 810S. Since Netgear Aircard 810s supports LTE category 11, the Optus 4G WiFi Modem AC800S supports only LTE category 9. So it can’t compare to Nighthawk M1, which supports LTE-A pro networks. Following the classical design of the Netgear 4G Aircards, the AC800S 4G WiFi modem also has a 2.4” QVGA capacitive LCD touchscreen, where users can conveniently monitor your data usage, and manage device and network settings. For advanced features and remote management, you’ll have access to a free NETGEAR mobile app. Two connectors for external 3G/4G LTE Antennas are at the bottom side of the Aircard 800s. They are covered by two caps, slip to see the connectors and cover. The Optus logo is located at the lower edge of the front. A home and back button on the screen for operation. 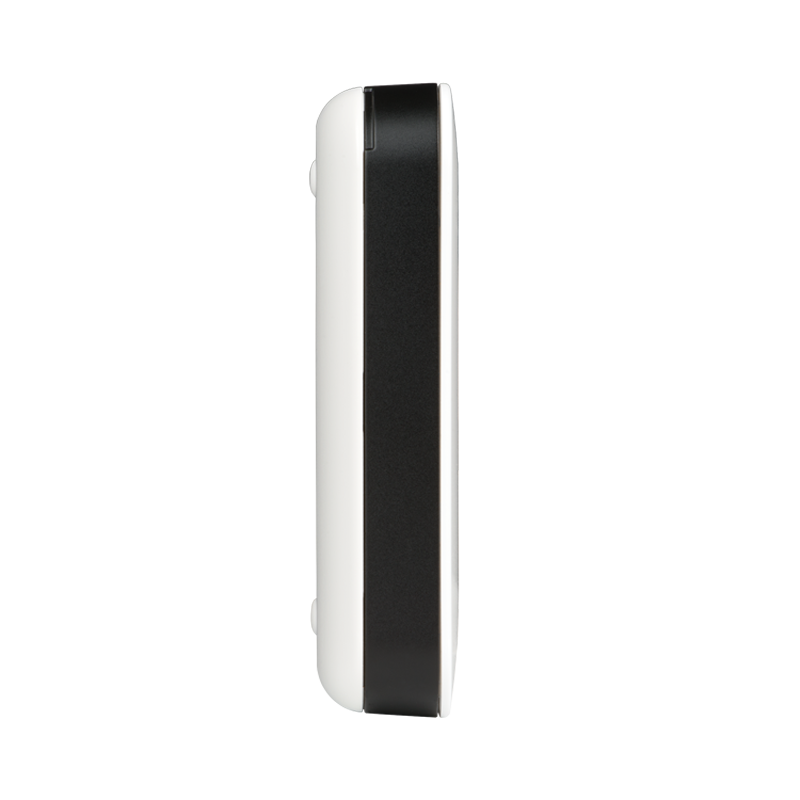 The battery of the Optus 4G WiFi modem 800s is removable and the capacity is 2930mAh, which is the same as Aircard 810s. Netgear remains the Jump Boost feature on the new Aircard 800s like Netgear AC810S, which means users can charge their smartphones or other small USB devices while the WiFi modem works. 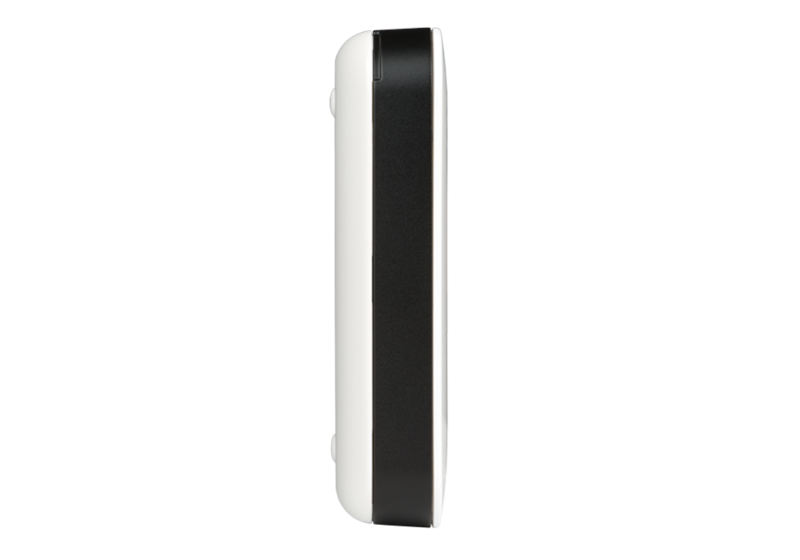 The powerful battery lasts up to 11 hours of continuous use. Simply plug it into the hotspot’s jump boost cable and start boosting from the touchscreen or the hotspot web page. 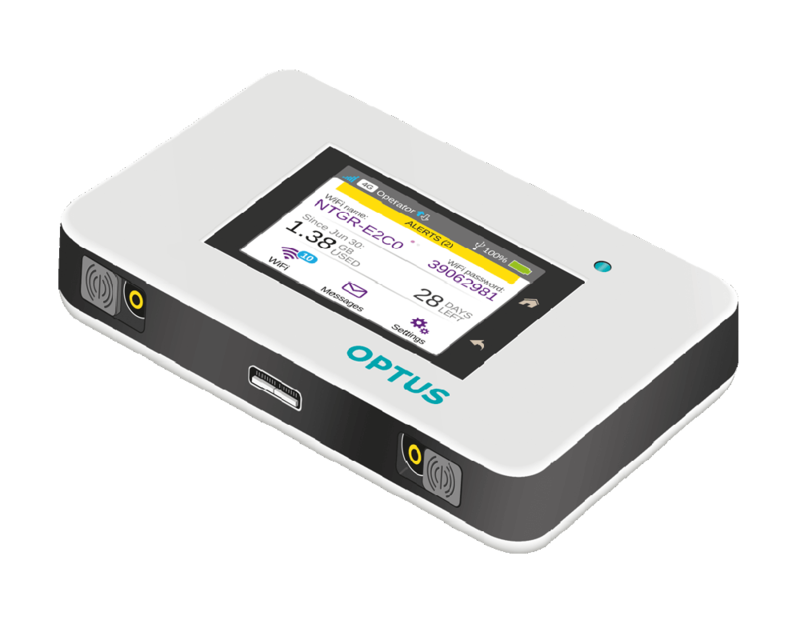 Optus 4G Wi-Fi Modem (Cat 9) AC800S features support for Category 9 LTE and 3-band Carrier Aggregation, with the ability to achieve theoretical download speeds of 450 Mbps. Since the LTE develops to Advanced or Advanced Pro, the typical product Aircard 810s supports LTE Cat11 with download speed to 600Mbps and the latest one Nighthawk M1 supports even 1Gbps for download. However, the Optus AC800S is enough for most cases in daily use. With Qualcomm MDM9240, the Optus 4G WiFi modem could support LTE FDD Band 1, 3, 7, 28, 40. It can support up to 15 wireless devices to access internet simultaneously. Netgear AC800S also increases network performance and reduce interference with 802.11ac and Dual-Band WiFi band (2.4 GHz/5 GHz). Like its predecessors, the AC800S is small size with dimensions of 110 (L) x 68 (W) x 16.1 (H) mm. User can easily take it in pocket or handbag for outdoor activities. From the appearance the specifications, we can conclude the Optus 4G WiFi modem is a good 4G Pocket WiFi, even though it’s not configured with the most advanced technology. But for most users, it’s enough for daily use. 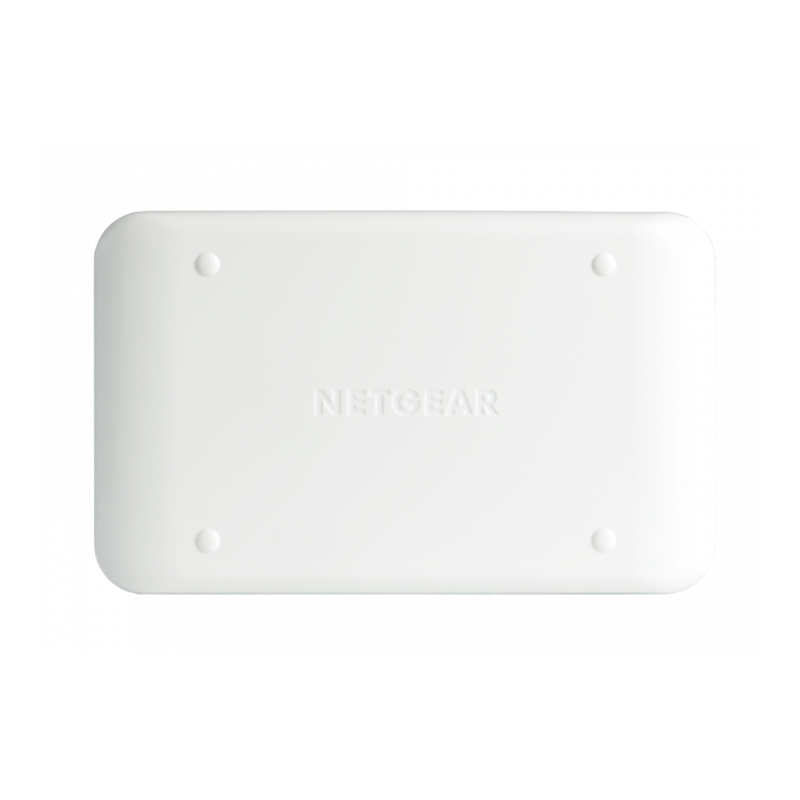 It keeps the typical design and practical features of the Netgear 4G Aircards. We would take further test about the performance for data rates in near future.